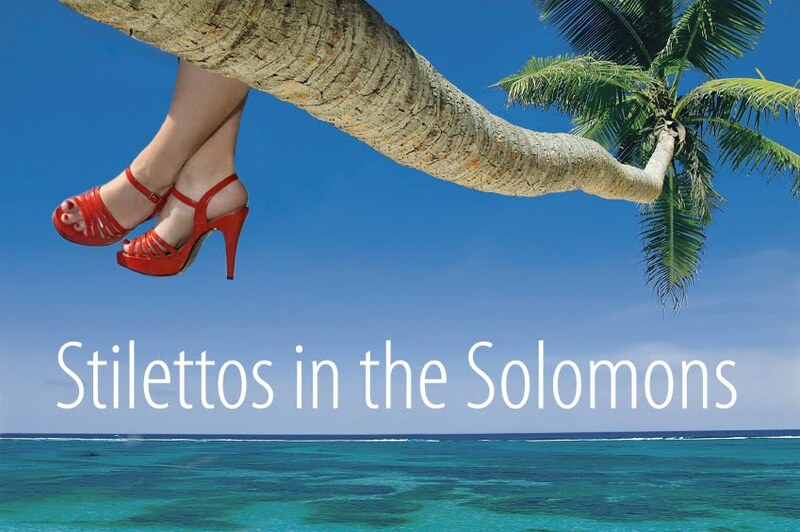 I'm going to go all Gwyneth Paltrow on you and talk about my favorite things in the Solomons. I've compiled a short list of stuff that is “uniquely” Solomons. Things you might want to bring back and show the grandkids. OR stuff that is made here, locally, that can help make your life easier, like soaps. I'm a big believer in buying local and keeping your life simple, so here is what I've put together. (Note: I was not paid by any of the below companies to advertise their products. I love them and use them and hope you will love/use this stuff as well). Coconut oil lamps. These little beauties are WONDERFUL. A great replacement for the very environmentally unfriendly Kerosene oil lanterns. When you tip over a coconut oil lamp, it does not light on fire, so there is minimal fire risk. Pick up a couple when you first arrive to light your dinner table at Kokonut Pacific. Tip: if you don't want to use too much oil, put water at the bottom and then some oil on top. The two will separate and you only burn off the top bit of oil. I recommend this as bugs love the oil and if you fill it up to the middle (like you are supposed to) you run the risk of wasting a lot of oil. Sponges...real sponges! The World Fish organisation has a lovely little project where villages in Western province sustainably grow and harvest sponges. These sponges are the read deal and absolutely heaven to use in the bath (yes I occasionally take baths here, when I'm sick) or in the shower. I love them! If you want to take them home, the World Fish organisation provides a nice little factsheet about the sponges you can give to customs. I've heard this is successful in getting these guys through the fearsome aussie/kiwi custom officials. You can find the World Fish place near Panatina Plaza. Kokonut Pacific has also gotten on board and begun to gift wrap the sponges with the soaps (a great idea! ), so you can pick yours up there. Tapas from Temotu. These lovely fiber paintings are amazing, easy to wrap up and make a truly unique Solomon Island gift. Carved bowls from Western-you CANNOT beat a beautifully carved wooden bowl from Western province. The bowl has ivory inlays, usually, and shined so highly that you can see you face in it. Beautiful. Fishing lures from Makira-I don't know if these things really work but it looks fantastic! At the top of the lure is a carving, usually depicting a family totem. At the bottom is a porous stone or cork to keep the lure afloat. Attached to the bottom of the carving is string with a bone fishing hook. The locals of Makira throw the lures out, with baited hooks and then watch from the canoes to see if the lure goes up and down (typically these are small fish). There is usually a smallish weight to keep the lure in place. Anyway, it looks great on the wall, I'm too scared to lose it to try it! Paintings- Solomon Island Artist produce some wonderful art at great prices. I live with a local artist, so if you want his contact details, pop me an email OR go to the Raintree Cafe, where they have lovely stuff at good prices (you can haggle there). Stone carvings or wood carvings. You can get some seriously lovely carvings here. I prefer to take stone home as there are less issues with customs than the wooden carvings. But remember to declare! (Also, you can always declare wooden ones and customs can usually treat it). If you have to prioritize your carving, I suggest buying a nzu nzu. This little fellow is quite charming. A sea spirit and a throw back from the head hunting days of the Solomons, it’s just a sculpture of a head, usually holding either a bird (for peace) or a head (for war). Used traditionally at the front of war canoes to alert villages as to the intention of the canoe (peace or war), the nzu nzu is now an iconic part of the Solomon Islands. You can go to the Melanesian Art Centre at Point Cruz as well as haggle with sellars on the street. I like the Melanesian art centre because in the back, they have some VERY unique pieces that you won't find anywhere else. Also, you can commission a local artist to make a special carving for you. One acquaintance of mine got a bust made of his head (no, really, he did), and, given the amount of hilarious stories it has already produced, I would say the thing has already paid for itself. Beauty products from Kokonut Pacific-again, these guys make pretty good coconut soap (my favorite scent is Island Kiss) and a lovely scented massage oil (Orchid is lovely). The Lime Lounge Sweet Treats Cookbook- I love this little cookbook. The recipes are yummy, the photos are amazing and it’s a great price. I think it’s the only locally produced dessert cook book I've ever seen, so pick one up at the Lime Lounge Cafe. Lava Lavas-having a lava lava is a must here if you are a woman. Nothing is better than a lava lava to use as a wrap around when taking an outdoor shower or protecting your modesty on the beach. In a pinch, a good lava lava can be used as a towel or a table cloth, you can use these rectangle piece of fabric for almost anything. There are great lava lavas at the Central Market but you can also buy them off of sellers on the street. Solomon Island Coffee-I'm not a coffee snob, so bear with me. At about 50 Sollies a bag, these little Solomon Island Gold bags of coffee are wonderful gifts and great to use at home. A lot of people don't like the blend but I think its fine. Anyway, it is a novelty. You can buy bags at Y-Sato (near the Lime Lounge) and other retail outlets. Jewelry. I like the coconut jewelry the best, shell jewelry and wooden jewelry which is just as nice. Shell money-these long strands of shells are used, still, as currency in some parts of the Solomons. In the past, it was used as the main form of currency but now, it is traditionally used in compensation ceremonies like bride price or land disputes. You can buy strands at the Central Market. Solomon Islanders can be (but not always) fairly...hmm...how do I put it....unaware or unsympathetic about issues around animal protection. Things like tortoise shell jewelry, dolphin teeth jewelry, endangered tropical hard woods like queen ebony and the like can make people queasy. It’s a tough issue; clearly the law is there to protect the animals and I totally agree with it. However, these people also need to make a living and feed their families. Also, using things like dolphin teeth and tortoise shell is a part of their culture. It’s a tough call and I'm not going to make it for you. Just proceed with caution, is all I'm sayin. So that completes my list of favorite things in the Sollies...please feel free to add your own in the comments below!